Joel McIver - "Extreme Metal - The Encyclopaedia Of The New Metal Scene"
Numerous pictures, citations, song recommendations and weblinks make this book an exciting and helpful reading for all those who want to know more on the extreme world of Black Metal, Death Metal, Thrash, Grindcore and co. 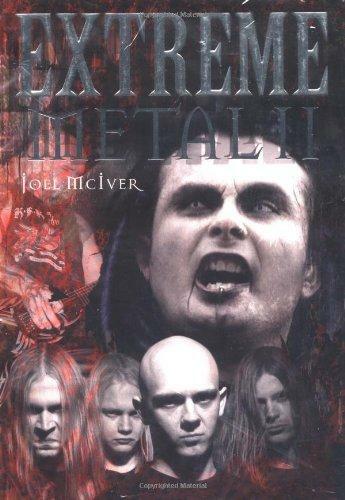 In the year 2000, Joel McIver published the original edition of “Extreme Metal”, which immediately became a significant reference book for the above mentioned genres. During the first years of the new millennium, Extreme Metal began it`s triumphant worldwide success – Death and Black Metal bands won Grammys and entered the charts. In the light of this fast-paced development, McIver now publishes an extended and revised edition of “Extreme Metal”, with an updated German version of the book.